ON July 11, 2018, HSK Zrinjski Mostar kicked-off the UEFA Champions League campaign in Trnava in an empty stadium – Slovakia’s Spartak were being punished by UEFA. The Bosnia & Herzegovina champions were beaten 1-0 and drew the second leg 1-1 in Mostar – the Champions League run was short-lived. Zrinjski won the Bosnia & Herzegovina Premier league in 2018 for the fourth time in five seasons, beating off the challenge of Željezničar Sarajevo. 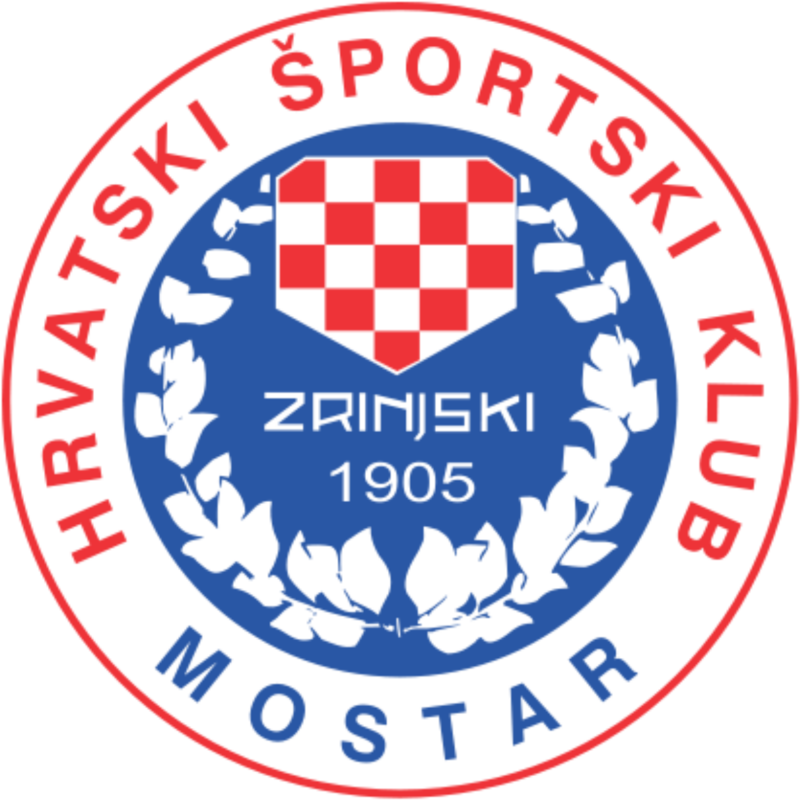 Traditionally, people associate football in Mostar with Velež rather than Zrinjski, but that’s largely because between 1945 and 1992, the club was banned owing to the fact that it played in the fascist-run Croatian League, Prva HNL, during World War Two. Founded in 1905, Zrinjski’s roots go back longer than any club in Bosnia & Herzegovina. The club was re-established as Bosnia became independent again, but then war broke out. 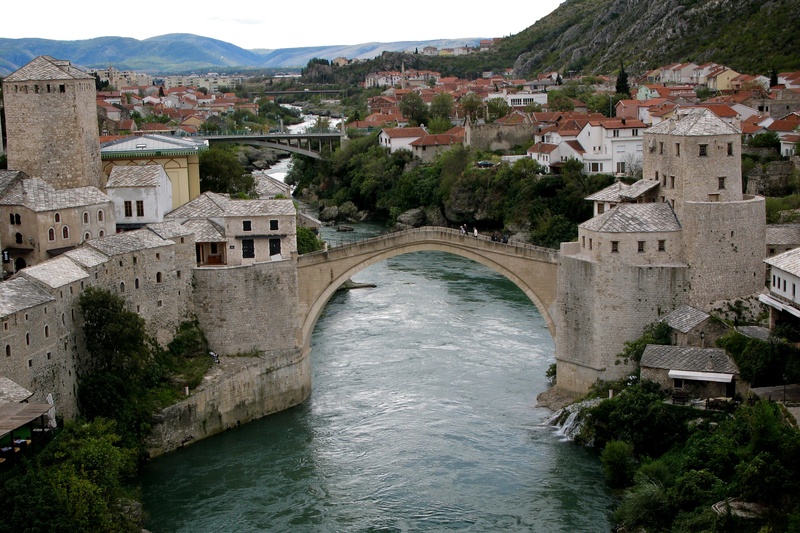 Fought between Muslim Bosniaks, Serbs and Croats, it eventually led to the divide of Mostar. The city still bears the scars of the Balkan conflict, there are still pock-marked and ruined buildings and the city is very much divided by the Neretva river with the Croats on the west side and the Bosniaks on the east. The city has a population of 127,000, with a tense mixture of Bosniaks (34.63%), Croats (33.99%) and Serbs (18.83%). With its winding streets, lofty minarets and a backdrop of grey-green mountains, Mostar is also one of the most picturesque cities in the Balkans. Mostar became something of a symbol of the Balkan War as the famous Stari Most (old bridge) which connects the two banks of the river, was blown up by Croat forces, a distinct act of cultural vandalism designed to impress Catholic authority over what the Serbs saw as defining the Muslim Bosniak identity. Happily, the bridge was rebuilt in 2004 and was seen as a symbol of reconciliation. One of the tourist attractions of the city is the sight of brave young bucks diving off the Stari Most and into the shallow and narrow Neretva, a drop of some 24 metres. It is almost a sport in itself. In the market area of the city, replica football shirts of some of Europe’s top clubs can be bought, the usual and predictable mix, Barca, Real, Bayern, but if you’re lucky, you may come across a modest pennant of Velež or Sarajevo, or perhaps a shirt with the name of Bosnian heroes Edin Dzeko and Miralem Pjanić emblazoned on the back. Although the city has UNESCO heritage status, it is not prosperous by any means, with unemployment close to 40%. Very small young children, with nothing more than cardboard boxes for protection, can often be found begging on the side of the road. It is a heart-wrenching scene, and it is sometimes hard to believe this is Europe. FK Velež Mostar were the city’s premier club for many years and in the 1970s, had a golden period and finished runners-up in the Yugoslav League in 1973 and 1974. In 1974 they went very close to being champions, losing out to Hajduk Split on goal difference. In the 1973-74 UEFA Cup, Velež reached the last eight, and on the way they trounced Derby County 4-1 at home and overall, 5-4 on aggregate. Velež also provided three members of the 1974 Yugoslavia World Cup squad, goalkeeper Enver Marić, midfielder Franjo Vladić and striker Dušan Bajević. Today, Velež play in the “First League of the Federation of Bosnia & Herzegovina”, the second level of the country’s football structure. The club was relegated from the Premier Division in 2016 after a decade in the top flight. Velež now play in at Vrapčići in the north of the city. This area is overwhelmingly populated by Muslim Bosniaks who form the basis of the Velež support – they were all effectively shunted out of the west side of the city. Back in the 1970s, Velež was based at Bijeli Brijeg, where crowds would touch 20,000 for the big games. In 1975, not far off Velež’s peak, attendances averaged around 8,000, but in 2018-19, gates were less than four figures. HSK Zrinjski Mostar, by contrast, average around 2,800 at the stadium built for Velež in 1971. When the club reformed in 1992, it initially took up residency in Medjugorje, the town famous for its “apparition” of the Virgin Mary. The club returned from exile and “inherited” the football ground from Velež after the Croatian Defence Council seized control of the stadium. At the same time, Velež lost its Serbian and Croatian players and was seen as an unwanted icon of the Yugoslav era. The stadium was used as a holding base for Muslims, awaiting expulsion from the area. While Velež fell from a position among the top clubs in old Yugoslavia and currently play at a lower level, Zrinjski have been successful in recent years, with a squad that currently comprises Bosnians, Croats and a Serb. After the Champions League exit, they played in the UEFA Europa League, losing in the third qualifying round to Ludogorets Razgrad of Bulgaria. European games may have distracted Zrinjski as league campaign has stuttered a bit this season – they have lost three of five games. Given they are a division apart, local derbies are rare, but there is intense rivalry between Zrinjski and Velež and violence to go with it. The former’s fan group is known as the Ultras and the Velež crew is the Red Army Mostar. The Mostar derby has two elements of conflict – politics and religion, making it one of the most sectarian football clashes in European football. Zrinjski’s fans are Croat nationalist with right wing leanings, Velež supporters are strongly linked with socialism, in fact they were seen, to some extent, as a symbol of communist brotherhood and unity. The club’s fans embraced the communist heritage long after the collapse of the old regime, continuing to sing songs about Tito. Whether Bosnia & Herzegovina will see two Mostar teams in the top flight again remains to be seen. In footballing terms, Bosnia has become a backwater, although as we have seen with Dzeko and Pjanić, the country can still produce excellent footballers. Regardless of that, there are more important issues for Mostar, such as the unity of a city that cannot forget its past. One day, things may be different. Next Entry Great Reputations: Grande Inter – a harsh legacy?